The province of Tarlac in Central Luzon is really not known for tourism. In fact, some people even dub it, jokingly, as the toilet stop of Luzon; the area being frequented only by motorist needing to relieve themselves on their way to another province. But my visit to Tarlac opened my eyes to its many tourist spots and food places unknown to most travelers in the country. Tarlac has a lot of tourism potential—it has historical places, museums, adventure parks, religious destinations, hiking and biking trails, waterfalls, and gastronomic places. 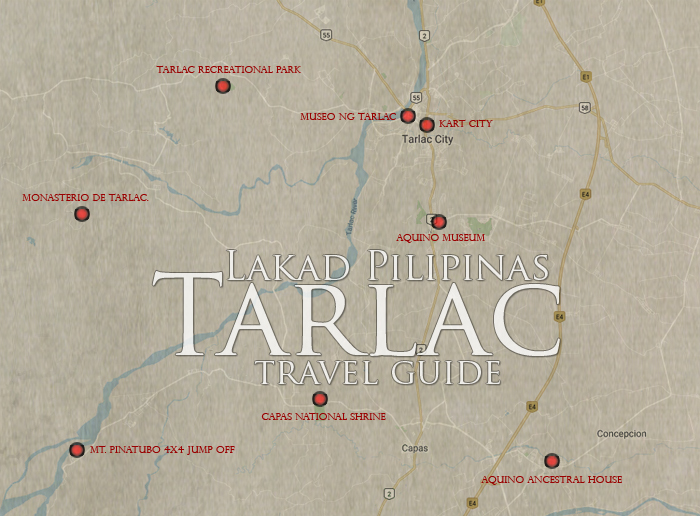 With this travel guide, allow me to help you get lost in Tarlac. Tarlac province is located in the region of Central Luzon. It is a mere two to three hours ride by bus from Metro Manila. Numerous buses with terminals in Cubao, Quezon City (Victory Liner, Five Star, Baliwag Transit, Genesis, JAC Liner), and Manila (Philippine Rabbit, Viron, Genesis) pass by the province through the NLEX. Fare for an aircon bus is usually pegged at an average of PHP250.00, depending on what town you’re gonna get off. As of this writing, there are no operational airports in the city, the nearest one being Clark in Pampanga. Kapampangan and Ilocano are the common dialect in Tarlac. 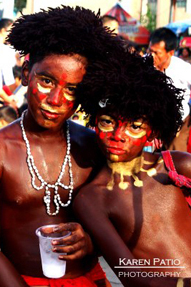 Although most, if not all, Tarlaquenos speak and understand Filipino and English. How Much? – Magkanu ya ini? / Manu? Note the translations are in Kapampangan first and Ilocano second. Tarlac isn’t really a tourism hub, so guesthouses, inns, and hotels are not that numerous compared to other places. Although the concentration of lodgings are located in the center of the province, Tarlac City, one can still find a few lodging houses and resorts on smaller towns. Tarlac is said to be a true melting pot of Pampango, Ilocano, Pangasinense, and Tagalog people. So I guess it isn’t really that surprising that the province has a lot of good restaurants lining its streets. What surprised me though was the level of choices they have, from streetfood, to local delicacies, and all the way to fine dining. 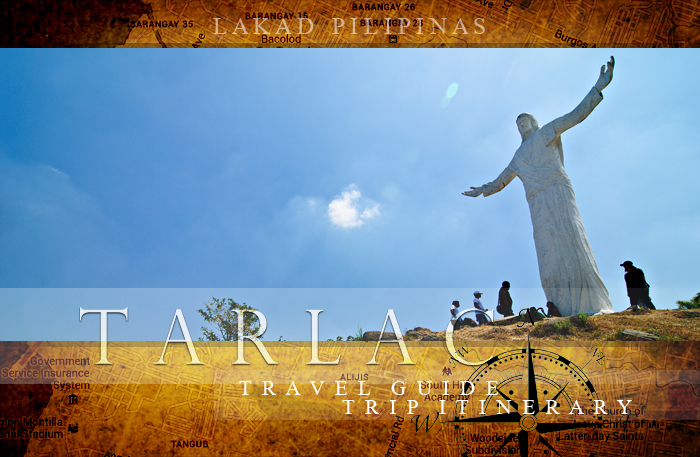 Before visiting Tarlac, the only tourist spot (if you really can call it that) I know in the province is the iconic Jesus sculpture at the Monasterio de Tarlac. But Tarlac has so much more to offer, especially for nature and adventure lovers (although I have yet to cover their hiking trails and waterfalls). For the culturally inclined, museums, churches, historical sites and ancestral houses are always available for visits. The whole Province of Tarlac covers an area of 2,737 square kilometer. That is a huge, and creating an itinerary that would cover all the tourist spots in the province seemed impossible. What I present here instead is a trip itinerary we did during the Tara Quin Tarlac familiarization tour, with Tarlac City as our base. This is entirely doable, provided you have your own transportation with you. If time is on your hands and you still have days left before going back home, Tarlac is a good basepoint to extend your tourist vacation. Here are some of the places you can easily go to. hw mch po budget for 3d/2n at tarlac,f sundan ang itineraru nyo? Hi Lita, Did you mean Monasterio De Tarlac? Monasterio de Tarlac is located at the Mount Resurrection Eco Park in the barangay of Lubigan. Hi I am really interested. How can I get there? Exactly. Especially in the crater? Please reply ASAP! Thanks! Hi guys, for the trip budget, I specifically didn't include one as a traveler's budget can wildly differ from person to person, some likes to eat a lot, a few don't; some likes to stay at posh hotels while others opt for the cheapest accommodations. Sorry for the delayed response. I think you can catch a bus from the Dau terminal going to Bolinao. Were you able to go? Hi :) May age limit po ba pag mag-sstay dun? Pwede po ba solo traveler sa Monasterio de Tarlac? May masasakyan po ba papasok? Hi Anon, yes you can commute to Monasterio de Tarlac. There are jeepneys and tricycles that can bring you there.